The new mobile app Cell 411 has been helping out people all over the world with its decentralized approach to how people living in the same general geographic area can help each other out in case of emergencies. The app leverages instant, decentralized human networks to allow users to create independent groups where people can leverage their connections in emergencies. The app, which is available for both Android and Apple devices allows users to build “cells” which are either private or publicly accessible. Their neighbors, friends or families within their cities or immediate vicinity can join those cells and send or receive real-time alerts in case of emergencies, such as a hurricane, flood, criminal activities and car troubles. Users of the app can tap the “send emergency alert” icons within the app and instantly notify a few or hundreds of other people willing to help; the alert goes out with the user’s exact GPS location so that you can be helped by your neighbors or friends as fast as possible. 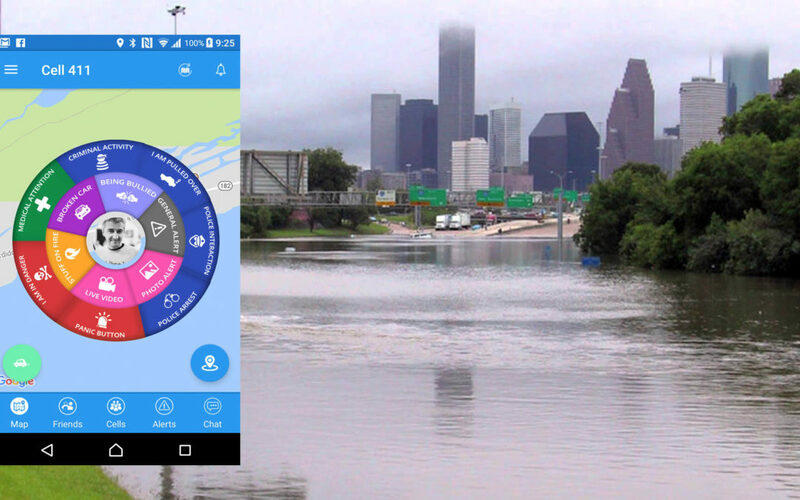 Unlike other similar apps, Cell 411 does not depend on failing government services which were proven inefficient and ineffective during the Houston flood. In fact, some government officials even prevented help from being provided to those in need, meaning that citizens should only expect to depend on each other, not government in case of emergencies. Cell 411 has been in use in crime-ridden South Africa for the last years and has been credited with saving several lives during car-jacking attempts and home invasions. It has been featured on CNN as a “must have app” for users to stay safe and has been praised by security companies and formed police officers as an app that could deliver life-saving aid in case of emergency. The app is completely free of use and can be setup in seconds. Friends can be easily added and usually an entire area or small city can be configured within the app in just a few minutes.